Slacker. Indie filmmaker. Oscar nominee. Writer, director, producer, actor Richard Linklater (b. July 30, 1960) is all these things and more. Boasting a trove of never-before-seen archival footage, American Masters: Richard Linklater – dream is destiny provides an unconventional look at the fiercely independent style of filmmaking that emerged out of Austin, Texas in the late 1980s and 1990s with Linklater as its poster boy. The new documentary premieres nationwide Friday, September 1 at 9 p.m. on PBS (check local listings). The film will be available to stream the following day via pbs.org/americanmasters and PBS OTT apps. Early writings from Linklater’s journals, telling interviews shot at his home and cinéma vérité footage from the set of Everybody Wants Some!! reveal his fearless approach and the extent to which his filmmaking existed, and continues to exist, decidedly outside of the production power bases of Hollywood and New York. Clips from his most beloved films, including Slacker, Dazed and Confused, the Before trilogy and Boyhood, and new interviews with actors and collaborators Matthew McConaughey, Patricia Arquette, Ethan Hawke, Jack Black, Julie Delpy and Kevin Smith, as well as colleagues and friends, including Kent Jones, John Pierson and the late Jonathan Demme, demonstrate his collaborative spirit and process. 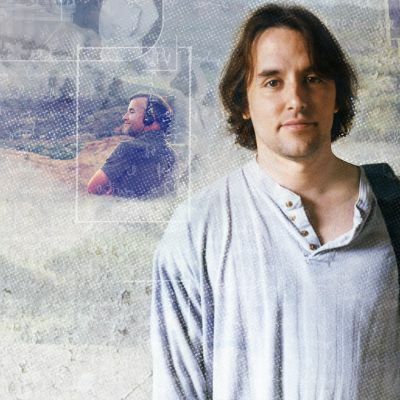 Co-directed by Karen Bernstein, American Masters: Richard Linklater – dream is destiny marks the directorial debut of The Austin Chronicle editor and SXSW co-founder Louis Black. An original board member of the Austin Film Society founded by Linklater, who still serves as its artistic director, Black has long been a staple in the Austin filmmaking community and the extent to which he is inseparable from his subject is palpable throughout the documentary, which had its world premiere at the 2016 Sundance Film Festival. “This film is not just about Richard Linklater and his films but the spirit and need of independent filmmakers and films, emphatically saying to all: just do it! Go and make your film!” said Louis Black. “Having worked for American Masters in the 1990s, I knew that Richard Linklater would add new meaning to that pantheon of greatness in the arts, and am grateful to Michael Kantor and his staff for recognizing this as well,” said Karen Bernstein, who produced American Masters documentaries on Lou Reed, Ella Fitzgerald, Juilliard and others. “Since bursting on the scene 26 years ago, Richard Linklater keeps reinventing the form of feature filmmaking. His astounding work has inspired not only audiences, but a whole independent film movement,” said Michael Kantor, American Masters series executive producer. Launched in 1986, American Masters has earned 28 Emmy Awards — including 10 for Outstanding Non-Fiction Series and five for Outstanding Non-Fiction Special — 12 Peabodys, an Oscar, three Grammys, two Producers Guild Awards and many other honors. The series’ 31st season on PBS features new documentaries about artist Tyrus Wong (September 8), author Edgar Allan Poe (October 30) and entertainer Bob Hope (December 29). To further explore the lives and works of masters past and present, American Masters offers streaming video of select films, outtakes, filmmaker interviews, the American Masters Podcast, educational resources and In Their Own Words: The American Masters Digital Archive: previously unreleased interviews of luminaries discussing America’s most enduring artistic and cultural giants. The series is a production of THIRTEEN PRODUCTIONS LLC for WNET and also seen on the WORLD channel. American Masters: Richard Linklater – dream is destiny is a production of Black / Bernstein Productions LLC. Louis Black and Karen Bernstein are directors. Karen Bernstein, Louis Black and Dawn Johnson are producers. Nevie Owens is editor. David Layton is director of photography. Alan Berg, Abe Zimmerman, John and Amy McCall, Anne Akiko Meyers, and Michael Kantor are executive producers. Major support for American Masters provided by AARP. Additional support provided by the Corporation for Public Broadcasting, Rosalind P. Walter, Ellen and James S. Marcus, The Philip and Janice Levin Foundation, Vital Projects Fund, Judith and Burton Resnick, Cheryl and Philip Milstein Family, The Blanche & Irving Laurie Foundation and public television viewers. Additional funding for Richard Linklater – dream is destiny is provided by the National Endowment for the Arts.